The octagonal frame is made from wood. It is simple, sleek and sophisticated. The frame is then painted with a silver lacquer accented with black and champagne highlights. The glass is bordered by a bronze painted trim. 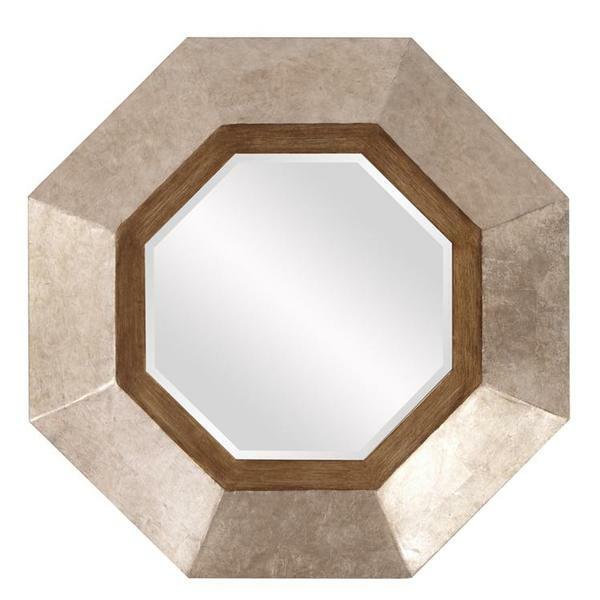 Its Contemporary style makes this mirror a favorite for bringing some edge to your decor. This simple yet stunning piece would be a great addition to any room. It is a perfect focal point for an design. This piece does NOT have a bevel. Customizable for larger orders.